This lucky Personalized Children's Ladybug Kite will soar on a blustery day—giving a personalized shout-out to one little kite flyer! 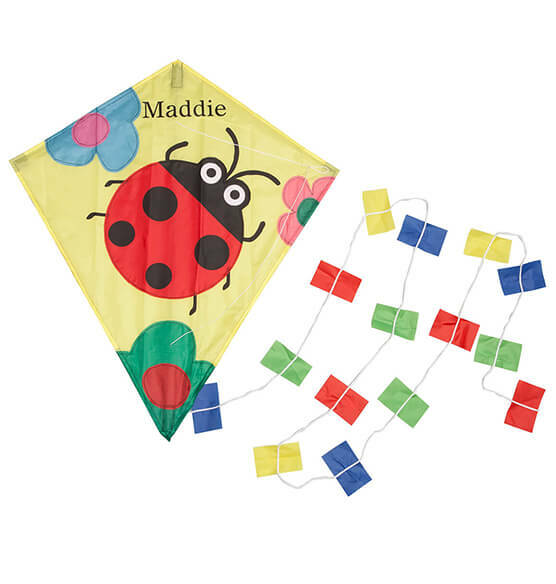 Designed for fun with a cute ladybug and colorful flowers, our adorable, diamond-shaped kite is made of durable vinyl with strong plastic frame and colorful tail. Inspiring old-fashioned fun and childhood memories, our childrens kite gets kids off the couch to enjoy active, outdoor play. When not in flight, the pretty polka-dot ladybug kite makes a colorful, custom accent for a child's bedroom or playroom wall. We'll personalize, creating a custom gift! Specify name; limit 1 line, 10 letters/spaces. 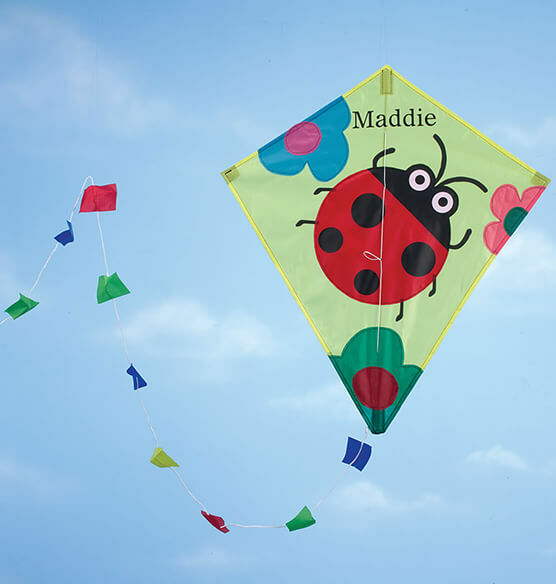 Personalized kite measures 27" long x 23 1/2" wide with 100" tail; includes flying line.